Cyprus is a land with majestic beauty, where ancient myths clash with troublesome modern history. Tradition plays a crucial role in Cypriot society and people are known for their hospitality and resilience. In recent years, the country has faced economical and political challenges, but it has managed to recover. Unemployment rates have decreased significantly and in general, civil rights are respected and political diversity is maintained. 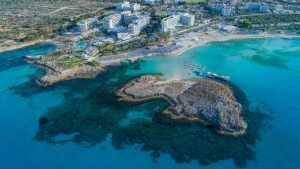 It should be noted that Cyprus is divided in two territories: the south where most people speak Greek and the north, which self-declared as the Turkish Republic of Northern Cyprus, following Turkey’s intervention in the region in the 1970’s. This state is only recognized by Turkey. While there are ongoing tensions between the north and the south, the issue has not escalated and the two regions have engaged in talks to address the situation in a pacific manner. The constitution guarantees freedom of speech and people can express their political opinions without facing restrictions or penalties. Independent media outlets that criticize the government are not silenced, and in general, the press doesn’t have to impose self-censorship. Over 75% of the population can get access to the internet and there are no significant restrictions in place. It is possible to access a wide selection of content, with the exception of certain categories. Websites that infringe copyright and unapproved gambling websites are blocked. Apart from that, there is no evidence of online monitoring activities carried out by the government. The law protects online private communications and it doesn’t allow interference without legitimate reasons. Compared to other countries, internet users in Cyprus are in a good situation since they don’t have to deal with heavy censorship and systematic online monitoring, but that doesn’t mean that they don’t need to protect their privacy and evade blocks. If you are in Cyprus and try to access content that is only available in the United States, you will come across error messages letting you know that there are geo-blocks that won’t allow you to continue. With a VPN, you can get around these restrictions and discover an incredible world of entertainment, without leaving your home. If you are visiting Cyprus and don’t want to miss the TV shows that you are used to watch at home, a VPN will also come handy because it allows you to mask your IP address so you will appear as if you were in a different location. So if you want to watch content that can only be accessed in the United States, you just need to connect to a VPN server in that country. You can overcome restrictions with a VPN server, it is a very easy and effective solution. Changing your IP address has another advantage, and that is protection for your identity. By masking your real IP address, a VPN lets you hide your real location and it prevents others from tracking you. VPNs bring you anonymity, and they also let you enjoy a greater level of privacy. This is thanks to the fact that they use encryption to scramble your data, making it nearly impossible to compromise. Others won’t be able to read your private conversations or check what websites you are visiting. VPNs keep your online activities private and they provide security when you are connected to your home network, or public WiFi hotspots. As you see, VPNs are a comprehensive solution that keeps your information secure and allows you to bypass restrictions. We recommend the below VPN providers as they offer strong protection for your internet traffic, as well as a wide variety of server locations that will allow you to get around blocks. ExpressVPN is perfect for people who want the best combination of security, privacy and freedom to get around restrictions. It is an excellent solution to keep your information safe safe when you connect to public WiFi hotspots. In addition, ExpressVPN has servers in over 90 locations around the world including Cyprus. This means that if you don’t want to change your IP address because you need to still need to access content that is only available in Cyprus, you can connect to a VPN server in that location, but enjoy stronger security and protection for your privacy. ExpressVPN doesn’t keep logs of your online activities and it is a reliable provider that has a solid record protecting the data of its customers. NordVPN is focused on privacy and security protection, but that doesn’t mean that it is not ready to offer a high level of flexibility, and great speeds to help you to stream the content that you want. NordVPN keeps all your data secure with military grade encryption and it supports features that give you advanced protection. You can opt for double encryption or Onion over VPN to ensure that your identity remains hidden and that all your traffic is private. These features are great for security, but if what you want is the freedom to get around blocks, with good speeds, you are better off connecting to one of NordVPN’s ultra fast servers. Another advantage of NordVPN is that it is a zero logs provider. IPVanish is another provider that has servers in Cyprus and it is in charge of its own network, which allows you to enjoy better speeds and reliable performance. IPVanish covers over 60 countries and it is recognized for the amazing speeds supported. In addition, IPVanish is a no logs provider, meaning that they don’t monitor or record any aspect of your connection or usage of the service. You can enjoy top security and easy access to a wider selection of content, thanks to the reliable performance that IPVanish supports. The pricing of the plans are affordable and the software is easy to use. PureVPN gets ahead from the competition by offering servers in more locations than any other provider in the list. You can connect to servers in over 140 countries and of course, Cyprus is one of them. PureVPN allows you to get over restrictions easily thanks to its easy to use service and advanced technology. They don’t keep logs of your online activities and provide high encryption to ensure that your data is secure. With PureVPN, you will be able to overcome restrictions and keep your internet traffic protected from eavesdroppers and hackers. PureVPN also has affordable plans and excellent customer support.